Meet Rabbi Yisrael Pinson and Devorah. Husband and wife, soul mates, parents of five. Web-savvy students of Torah; gentle teachers, mentors, spiritual leaders. Emissaries of Chabad, building community in midtown Detroit. With five children ranging in age from 6 months to 12 years old – and with their deep involvement in the Jewish community through their work at the Daniel B. Sobel Friendship House — not to mention their penchant to prepare expansive Shabbat meals for an ever-widening circle of friends and followers, one might expect that the Pinson family would be set in their direction, firmly based in the suburbs of the city. 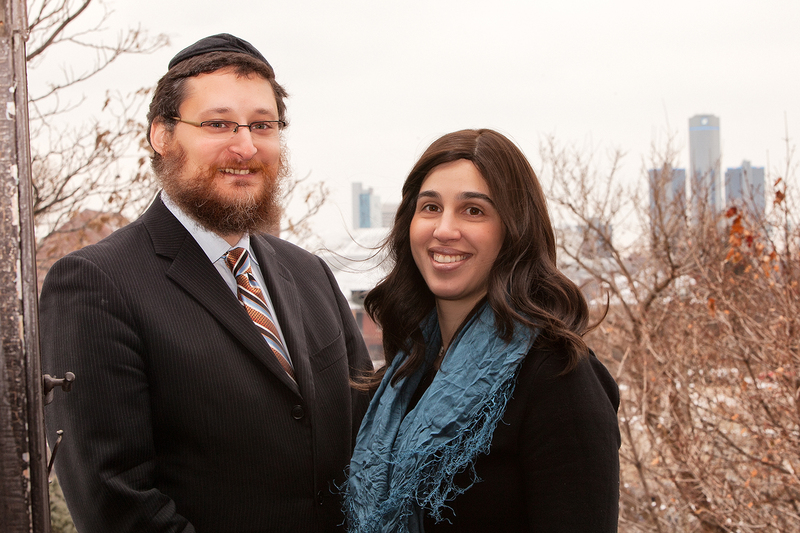 But together – and because of their close ties to Jewish Detroit – they’ve chosen a different path, a leap of faith to start a Chabad House in greater downtown Detroit. A rarity amidst the various streams of Judaism, both Yisrael and Devorah represent a long family lineage of traveling emissaries from Lubavitch. As one of nearly 40 full-time Chabad families in Michigan today, they follow a 250-year-old tradition of culture, education and outreach, dedicated to serving the Jewish community the world over. From the outset of our conversation, Yisrael is adamant, “It’s important that you understand: Devorah and I are partners in every endeavor, she is my soul mate in every way. We have made a family decision. Even our children are excited to make the move.” While the family will move their household from West Bloomfield in stages, they have opened the Mack Avenue address as the Midtown extension of their home. There they will provide a place for group study, holiday celebrations and, of course, those wonderful Shabbat meals. Q: Rabbi, you and Devorah both grew up in what most would consider a non-traditional Orthodox community. Can you please share a bit about your background; what brought you to Detroit? Yisrael: To put into context why we’re here: Both of our families have been involved in the Chabad-Lubavitch movement for generations. I’m a fourth generation rabbi; my parents run a school in Nice, France, where I was born. My grandmother still runs a school in Tunisia. Devorah was born in Cincinnati, Ohio, where her parents remain active running the Chabad today. Her grandmother heads Jewish women’s activities for Chabad in Montreal. We grew up as highly observant Jews, inspired by the words and actions of Rebbe Menachem Mendel Schneerson. Just as our parents, grandparents and great grandparents have lived lives of service to the Jewish community, we believe our job is to put ourselves out there: not only for all Jews, but more importantly for every Jew who feels a need to be connected. Q: Tell us a little more about your education. Yisrael: I’ve been educated all over the world. I studied in Israel for three years starting at age 13, then in Manchester, England, for two years, Brooklyn, N.Y., for two years, Paris for a year, Melbourne, Australia, (where I received my rabbinical ordination) and then post-grad back in Brooklyn. I interned as a student Rabbi in Perth, Australia, Toronto, Martinique, St. Maarten and Juan-les-pins in France. My first language is Yiddish, then French, then Modern Hebrew, then English. I am fluent in all four languages. I also can read and write Biblical Hebrew and Talmudic Aramaic. Needless to say, I have a love of words. Q: Where did you and Devorah meet? Yisrael: We met on a blind date here in Detroit – fourteen years ago. I came to visit Detroit for the date. Devorah was working with Rabbi Shemtov at the Friendship Circle. She was, in fact, the first employee they hired. Devorah: Actually, we first met right in front of the JCC. Yisrael: I was hired in 2002 to lead the efforts of Friendship Circle which was originally founded as a drug prevention organization for youth at risk. 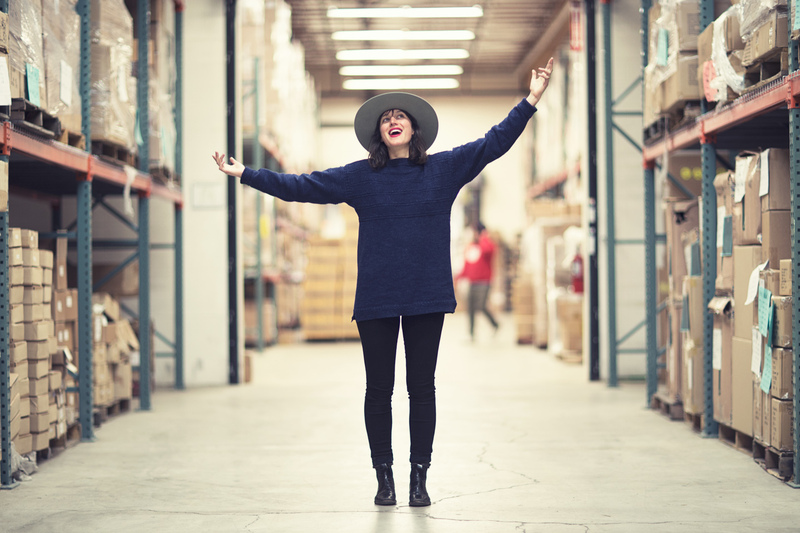 Even while the organization quickly moved on to become a volunteer organization for children with special needs, I continued to work as the “Recovery Rabbi” to create a community for recovering addicts. Devorah still works at Friendship Circle in that capacity. Two years ago, I transitioned to some development work, engaging young people. 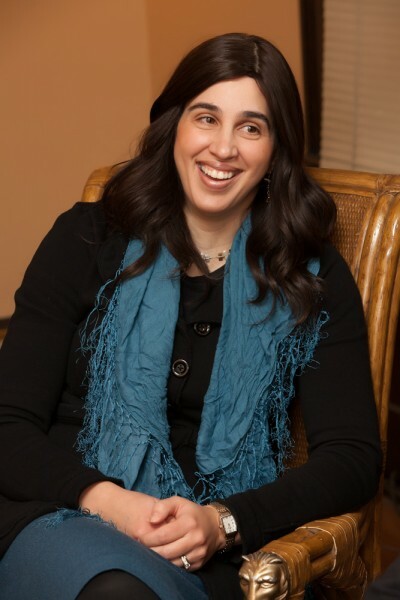 That work led me to Federation and my service on the NEXTGen Detroit Board, and through those connections, I was encouraged to start the Chabad House in Detroit. Q: You are in a unique position now, moving forward, moving downtown. Why Detroit, why now? Yisrael: Traditionally, Chabad couples move to new places when they are very young, newly married and starting a family. Our situation is unique. And highly unusual. We’re an established family with five children. . and we’re starting off with a building from Day One! To pick up stakes and startup the Chabad House in the prime location we’ve chosen takes an unusual circumstance and the support of a unique and generous Jewish community. And, that’s exactly what we have in Jewish Detroit. 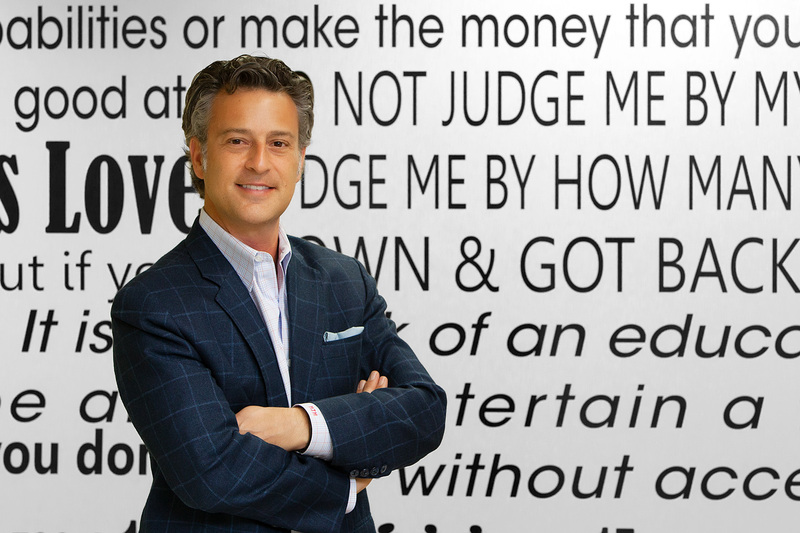 Our previous experience – and our ties to Friendship Circle, the Jewish Federation and a wide circle of donors and friends – provided the experience, the credibility and the sizeable resources to do what we dream to do. Yisrael: Detroit is a city on the move, with more young people choosing to live, work, play — study and give right here in our city. Study because there’s a university at our doorstep. And give because there are people who are here to volunteer to help revitalize the city’s neighborhoods, like the one we hope to build right here in Brush Park. You are well located – a heartbeat from the DMC and Medical School and the new Heart Health Center opening soon. Across the street, there’s the Wayne State University Eugene Applebaum School of Pharmacy. Whole Foods is a block away. What do you see in the future of the neighborhood? Yisrael: We have great hopes for Brush Park! The lot next to our property is the future site of the new Ronald McDonald House; Lawrence Technology University and the new Red Wings arena are breaking ground a few blocks away. We’re located ideally in the center of the greater downtown area – on the Wayne State Medical Center campus. What few people realize is that we’re back in what used to be a Jewish neighborhood. In the early 1900s, Brush Park was a prime residential neighborhood. Albert Kahn designed many of the houses here. The original Temple Beth El – now the Bonstelle Theater – is in our backyard. Also, we share a block with the American Red Cross, with the Detroit Urban League and with Hospice of Michigan. Detroit’s planned light rail system will run along Woodward with a stop on Mack Avenue just two blocks from our house. We couldn’t ask for a more central walkable location or a better spot to live, work, play, study and give. Q: What do you say to young people considering the move to Detroit? Yisrael: Visit us! Detroit is no longer the risky proposition we read about in the news. It’s a sure thing. We have the data to show that Detroit is growing. We are a city on the cusp of historical change. And, we are building a destination for young people to come down, enjoy the city and be a part of the change. Restaurant: Chef Cari — Kosher catering — is planning to open a restaurant downtown. Best gluten-free falafel ever! Building in the Detroit skyline: RenCen. You can have a kosher meal if you order ahead at Coach Insignia. Place to take kids: (To their beds!) Seriously, we love renting bikes and riding on the Riverwalk. Vacation spot: Kalkaska, Michigan. We spend a couple of days there when we take our daughter to Camp Gan Israel. Food: Gluten-free, healthy grains and hipster vegetable dishes. Devorah makes the best Jewish Chicken Ever, and Yisrael makes a “Killer” Cholent. Jewish expression: Trach gut, v’zein gut. Think positive, and good things come.